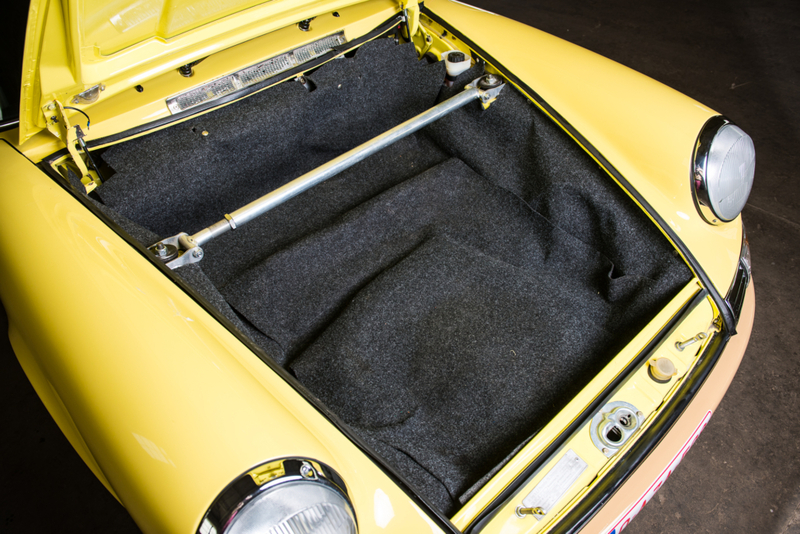 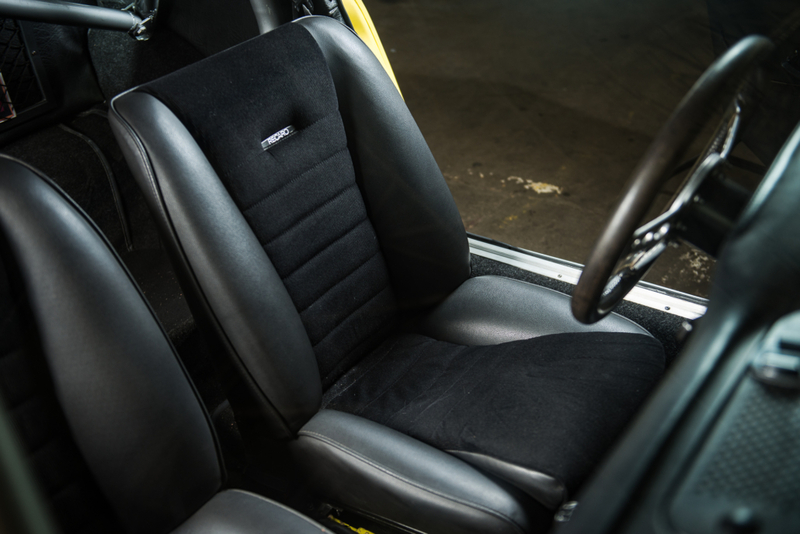 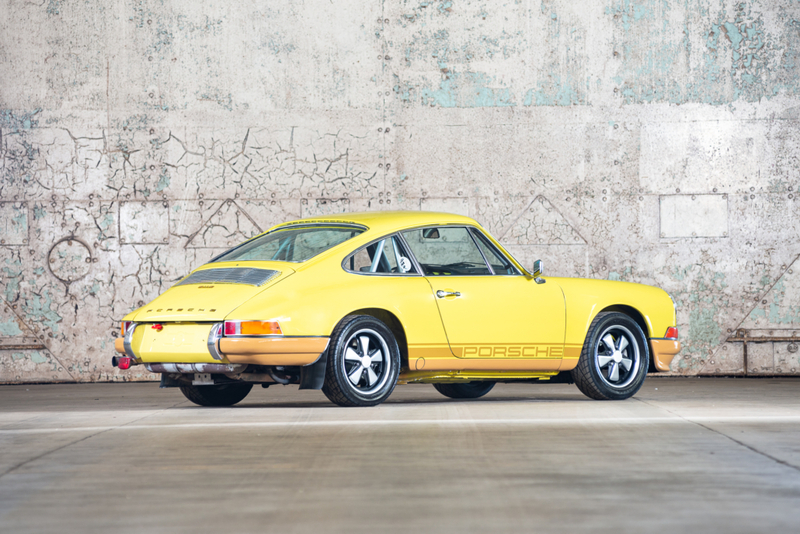 Built from 1969 until 1973, the 911E was designed to be the more comfortable and drivable of the 911 range, fitting in between the 911T (Touring) and the 911S (Super). 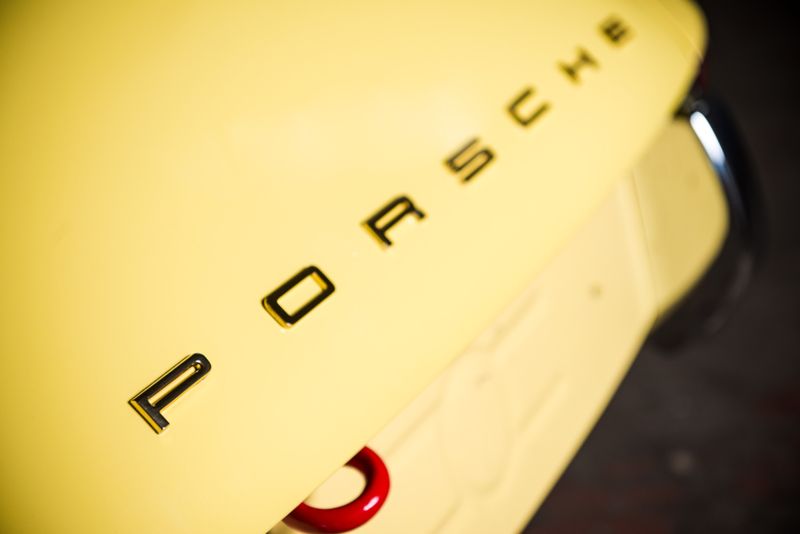 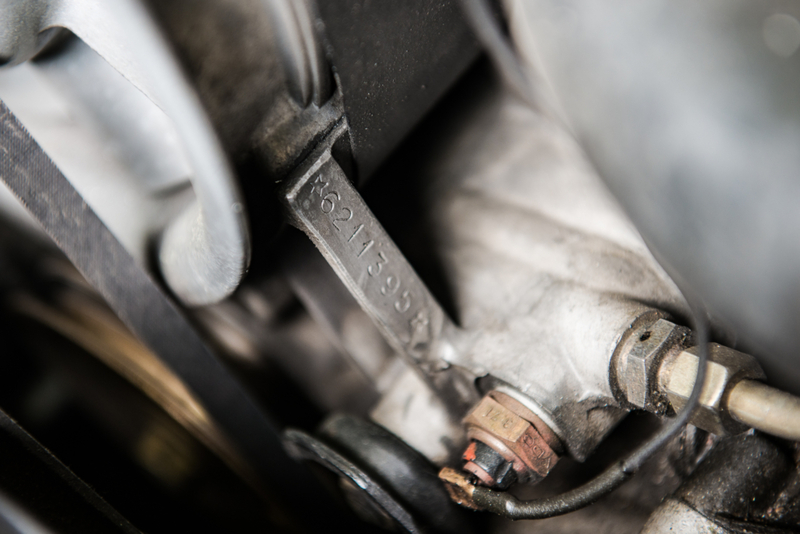 The designation ‘E’ came from the German for injection: “Einspritzung” and this referred to the pioneering mechanical fuel injection system (MFI) used, developed jointly between Bosch and Porsche. 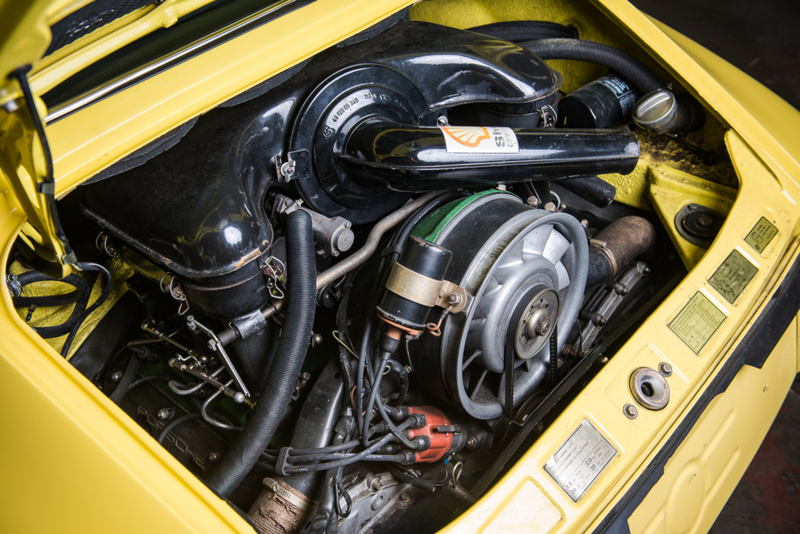 The benefits were more power and better driveability with a cleaner running engine. 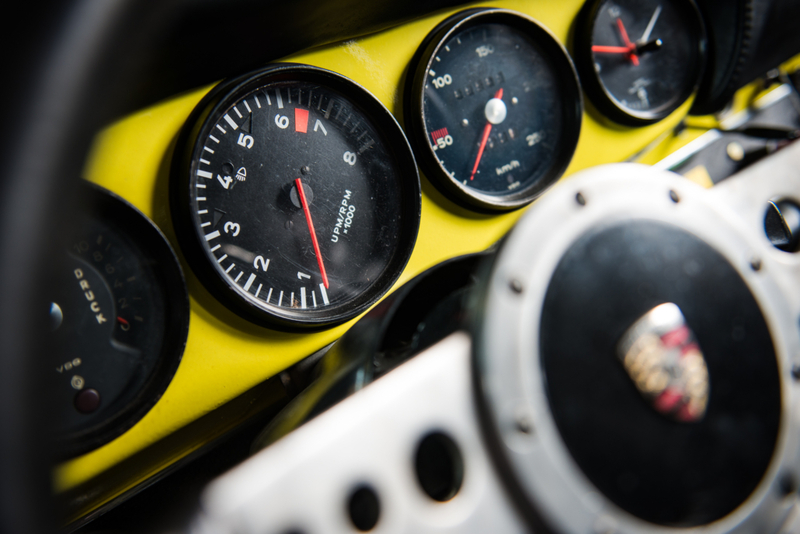 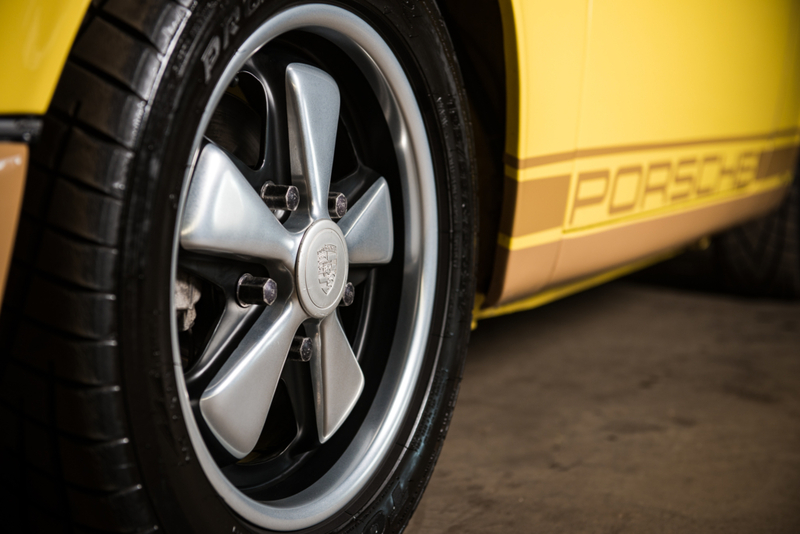 Porsche also conceded that a few more comfort features would be welcomed and the braking system was also improved to deal with the improved performance. 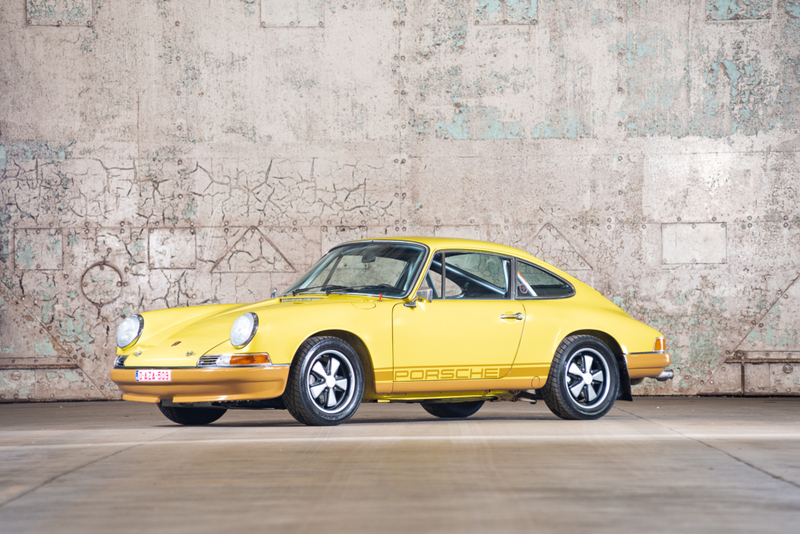 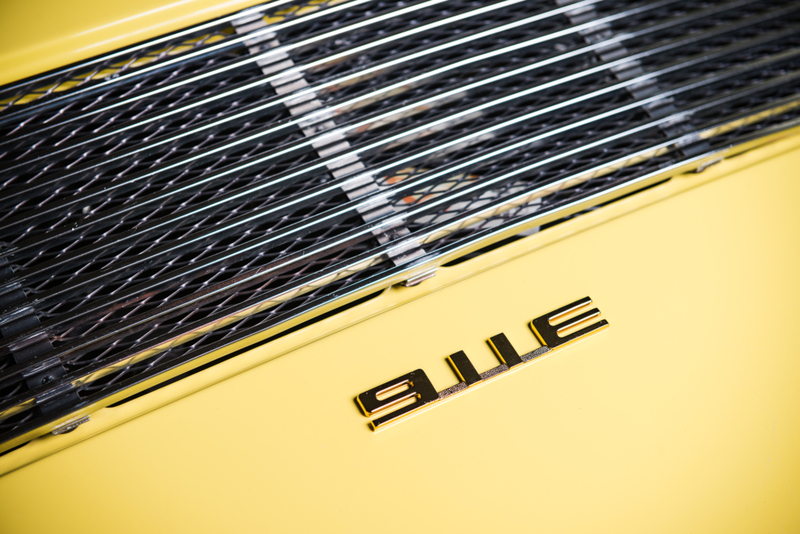 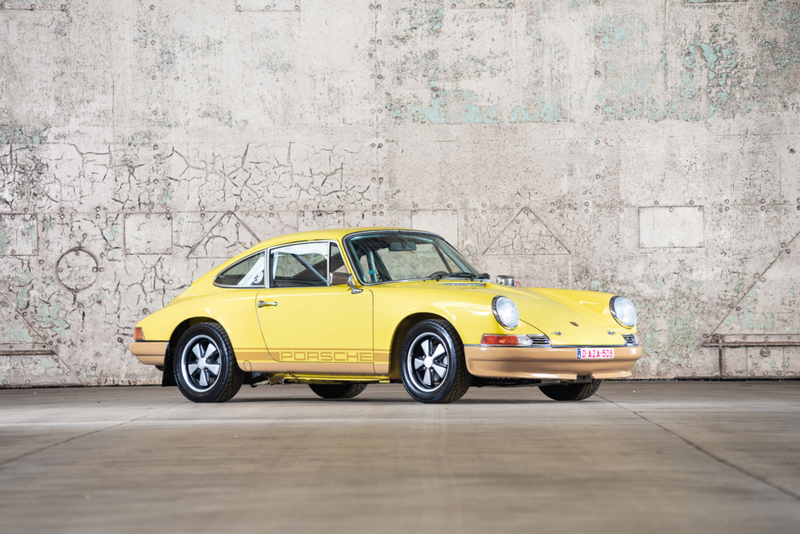 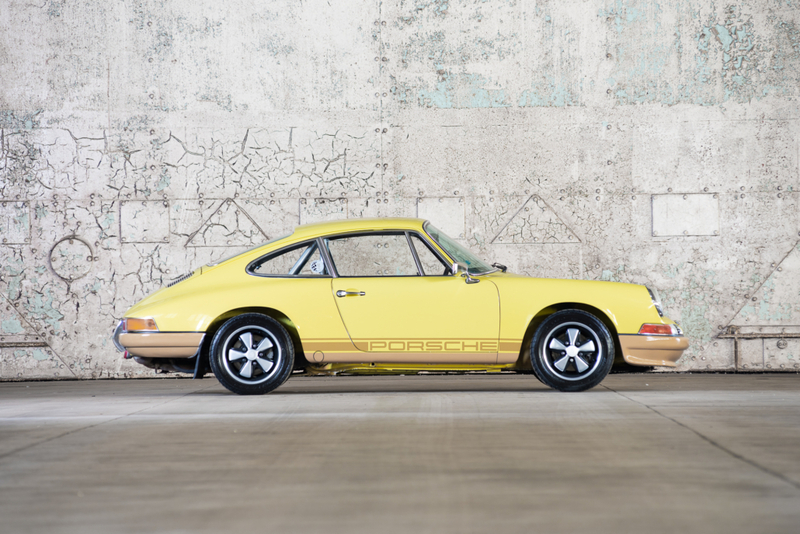 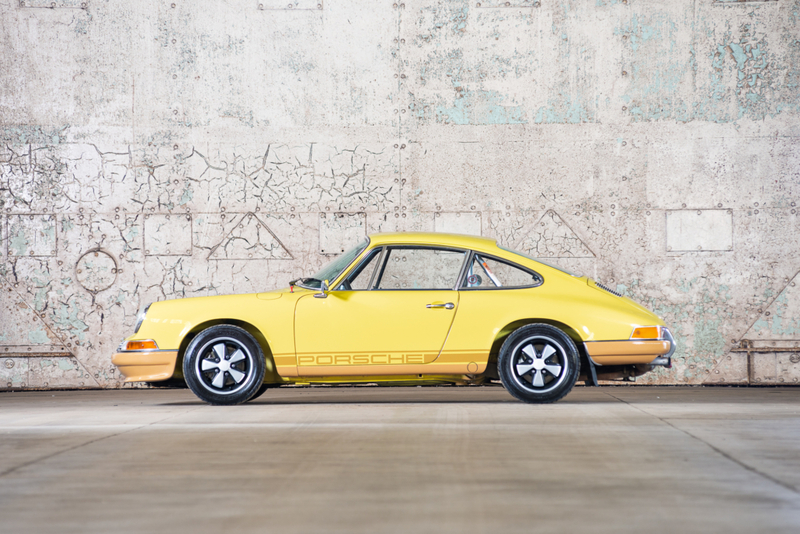 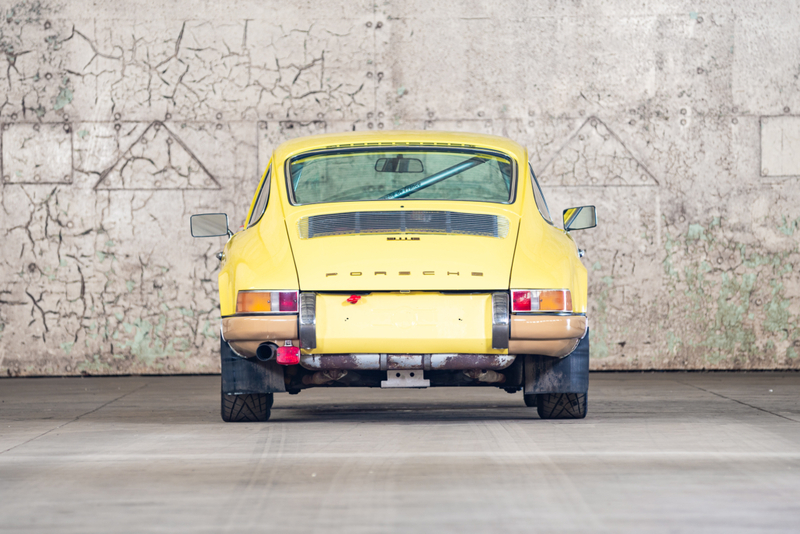 Indeed compared to the 911S, the 911E was actually quicker up to 160 km/h mark. 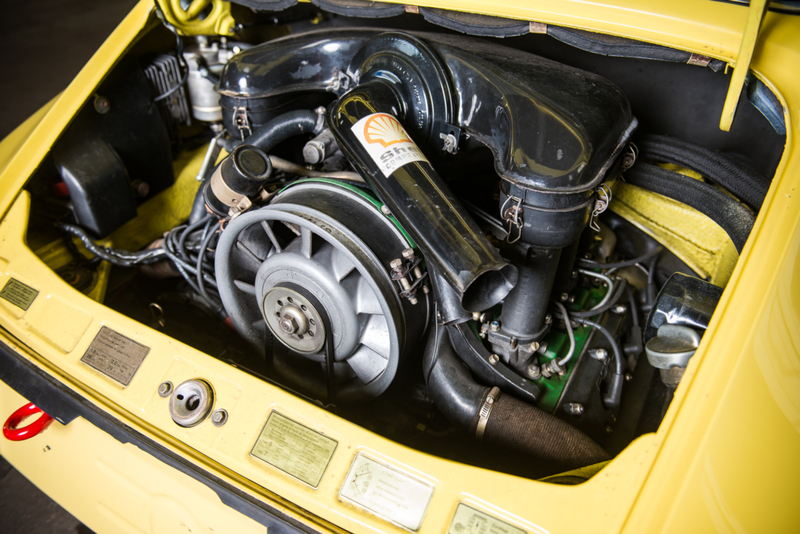 This 2.2E was the subject to a full bare shell restoration during the late 1990s by the Messersi brothers in Woippy, France. 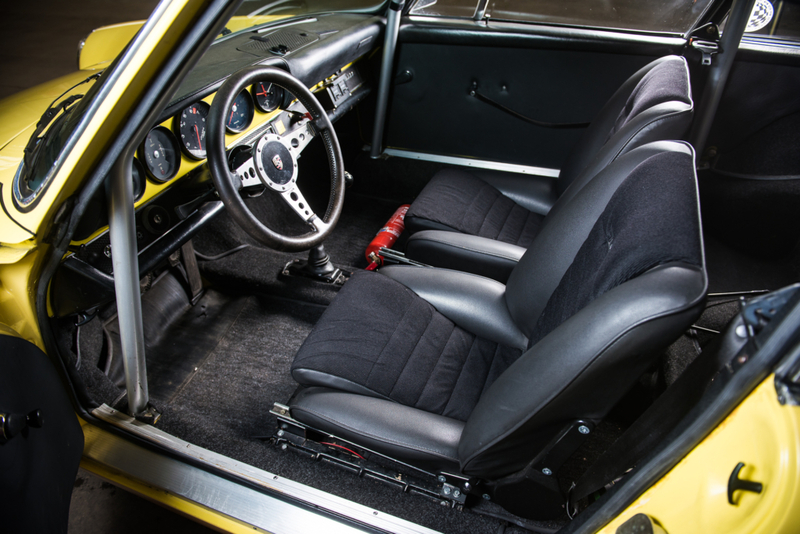 They built it to a fast road/rally specification, upgrades including period correct aluminium S brake callipers and Bilstein Sport shock absorbers, transforming the handling. 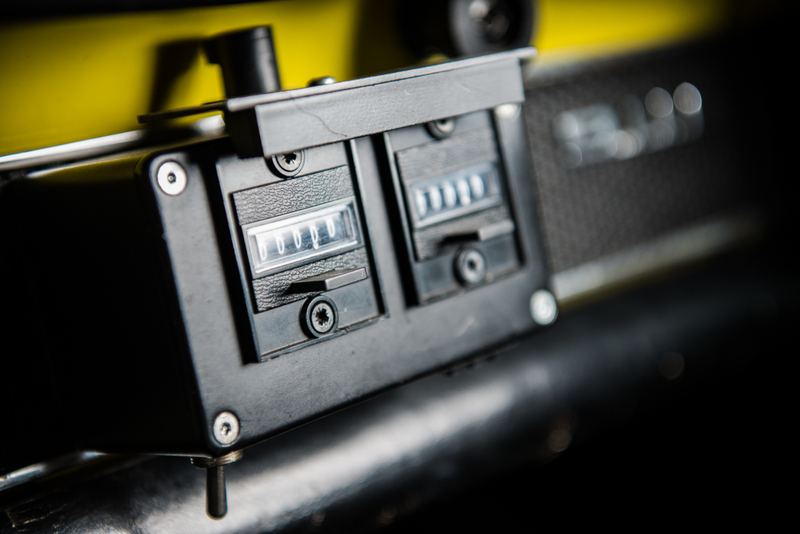 The gearbox has also been uprated with short ratios on 2nd, 3rd and 4th whilst retaining the standard 5th gear, perfect for long distance touring. 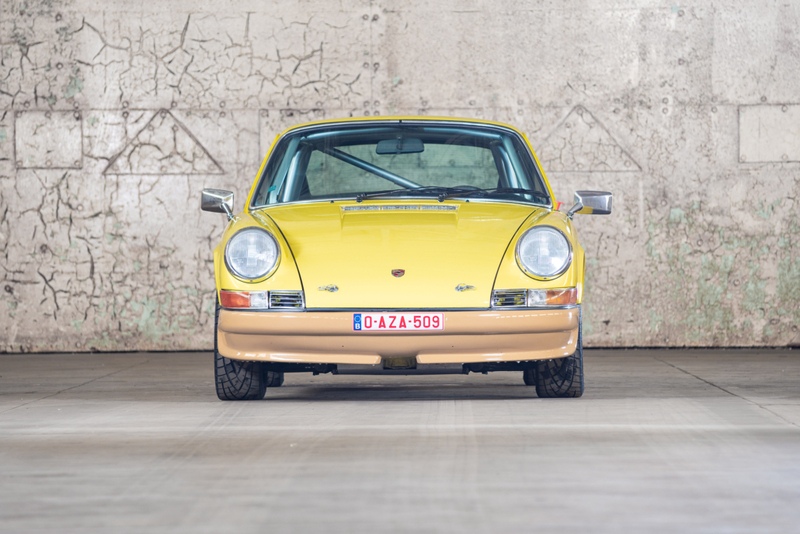 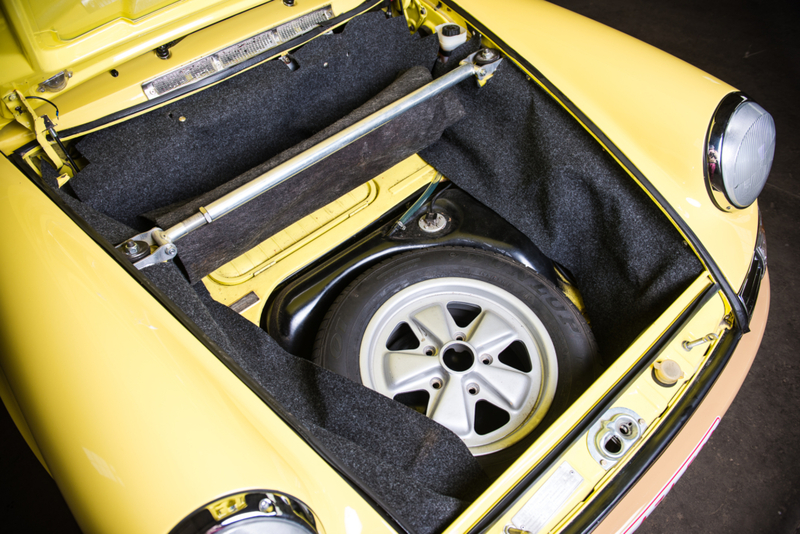 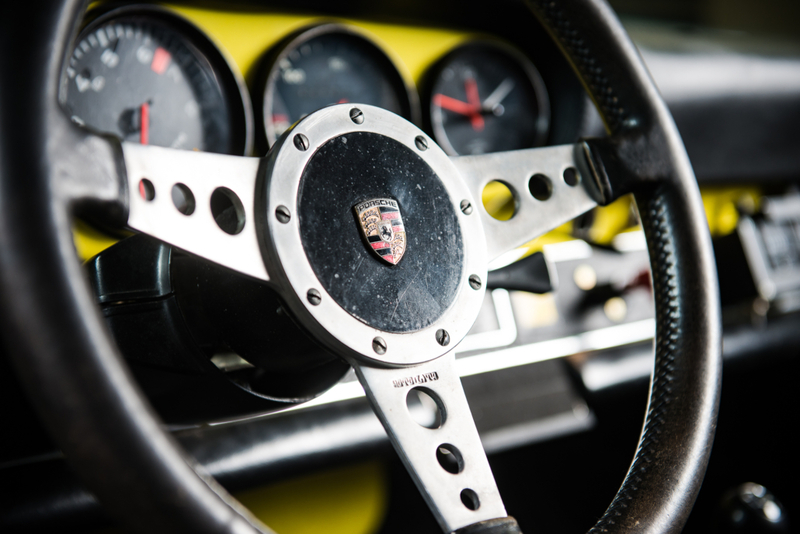 In 2017 it was bought from Art-Restoration by Patrick Pugain in Holtzheim, France, the renowned specialist of classic Porsche and Fuchs wheels. 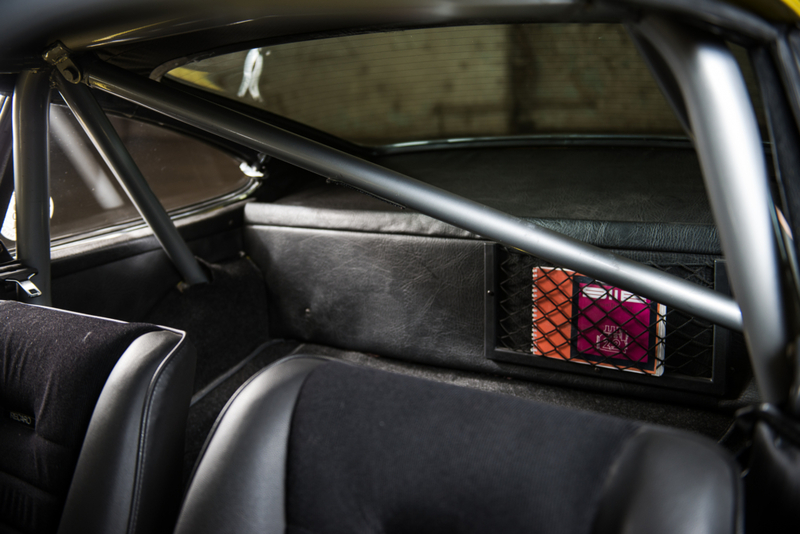 It was his personal car that he often used in regularity rallies. 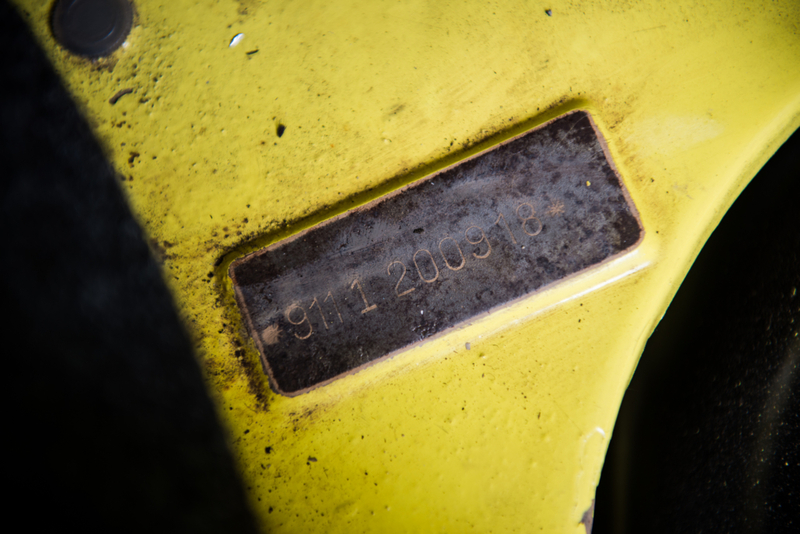 The history file includes 100’s of restoration photos, as well as pictures of the car competing on events all over Europe. 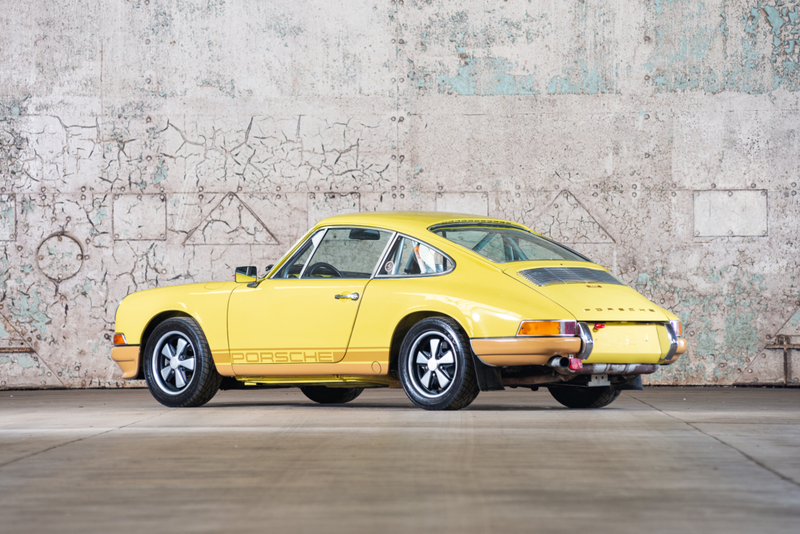 The 2.2E is a relatively rare 911, and an intelligent alternative to a factory built S. This example is exceptionally well sorted, and well adapted for all occasions from the weekend pub run through to track days or international road rally events.